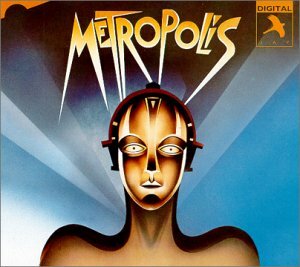 Joe Brooks and his co-creators have taken the theme and story of "Metropolis" and produced a very contemporary piece, while suggesting much of the mood of the original 1920's vision of the future. The central love story between Maria and Steven (named Freder in the film) has been fleshed out and given more weight of reality, while still remaining a classic case of "love at first sight" rarely seen out of the stylized world of musical theatre. 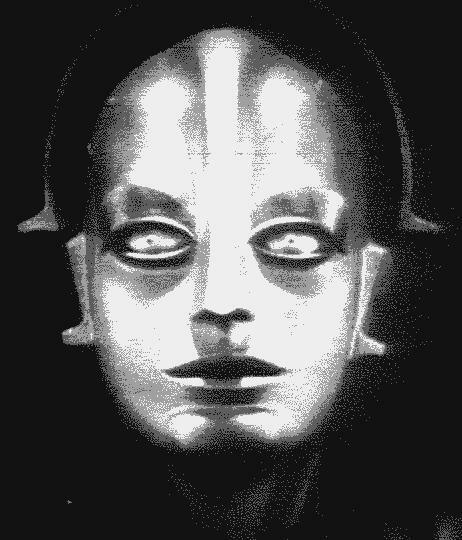 The theme of the original, as described by "Metropolis" author Thea Von Harbou, is that "between the head and the hand there must be a mediator--that mediator must be the heart." The film has been criticized by some for the romantic simplicity of this theme. There is a greater sophistication in the musical's handling of this theme, which while still uncomplicated and altruistic, is more easily grasped and appreciated by modern audiences. In the film, Freder, in Christ-like fashion, is "re-born" through the influence of the Mother Mary-like character of Maria. He becomes the mediator between the common working class and his god-like father who created Metropolis, just as Christ is understood to be the mediator between mankind and God. The religious parallels are abundantly clear, and in the novel as well as the movie, the spiritual nature of the story and its themes are constantly underlined by religious imagery including a massive cathedral and white crosses in the shrine-like catacombs. In the musical, the ending scene in which the son literally takes "the hand of God" and "the hand of Man" and places them together for a handshake has been replaced by a scene which resonates more with modern sensibilities. As throughout the libretto, a dramatic warning about impending ecological disaster is clearly stated at the musical's conclusion. Co-author of the musical, Dusty Hughes, describes the development of the musical's libretto and its themes in the CD liner notes. workers at the machines Metropolis is the invention of John Freeman. 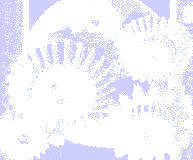 It is a city which exists in a benighted world devoid of all energy resources. Human energy is ruthlessly harnessed to benefit only the elitists who live above ground. The workers toil beneath the earth's surface at monstrous machinery in ten hour shifts to keep the city alive. Amongst the workers who toil beneath the city is Maria who holds onto the memory of a world with a sun, flowers, birds and trees. She risks her life by giving clandestine lessons to the children so that the memory will never die and in the hope that someday freedom may again be possible. When Jade, George's girlfriend, dies in the cogs of a machine, the time is ripe for the children to be shown the world above. John Freeman, the mastermind, in his control room John Freeman's son, Steven, the heir apparent to Metropolis, does not share his father's megalomania He has a conscience and his father, aware of this, attempts to keep him in ignorance of the apalling conditions of the workers in the underworld. Maria and her band of children escape briefly into the air ("Oh My, What A Beautiful City") and for a moment she and Steven meet. Haunted by her beauty and innocence, he follows her into the depths of the underworld. In order to understand the workers' lives, and to be with Maria, he changes garments with George, worker 11811, who unrecognized finds his way up to Metropolis to be amongst the elitists. "If It's Only Love"
Steven pursues Maria and discovers that she is the spiritual leader of the workers. ("You Are The Light") His journey, however, has not gone unnoticed by John Freeman and his first lieutenant, Jeremiah. Wary of Maria, Freeman hatches a plan to eliminate her and subjugate the workers further. Warner, the scientist Warner has come close to perfecting his Robot, which he calls Futura. All that is needed is a face. By Freeman's command, Maria is kidnapped so Warner can give the Robot her likeness. Futura, obedient only to John Freeman's commands, is sent as Maria to the underworld to pursuade the workers to work harder and allow the children to work the machines also, thereby killing the spirit of hope with which the real Maria had inspired them. The Elitists The cynical and pleasure-driven upper class are presented with the false Maria, and are convinced she is not only human, but the new ideal for them to emulate. The False Maria spreading discord, and dancing for the elitists. Warner, like Steven, is overwhelmed by Maria's innocence and agrees to release her. Once this is discovered he is executed, but Maria is free to lead her people once more. In the underworld, Futura's inherent madness comes to the fore, and intending to kill Steven murders George, who, disguised as Steven has returned. The workers recognize Futura to be the work of the devil and throw her into a furnace. At the moment of Futura's destruction, Maria returns. The workers rebel and threaten to destroy Metropolis by attacking the machines. Maria and Steven lead the workers to the relative safety of the upper-world. Without energy Metropolis cannot survive. Freeman is told the misinformation that Steven has been killed by Futura and that she/it and his beloved machines have been destroyed. Insane with rage and grief he blows up the Metropolis control room and he and Jeremiah die in the conflagaration. The future is now in the hands of Steven, Maria, and a handful of workers and children who emerge into the light and ruins of the city, which no longer supported by their hard labor, has collapsed. Steven, Maria, some children, and a few workers survive to start the world anew.